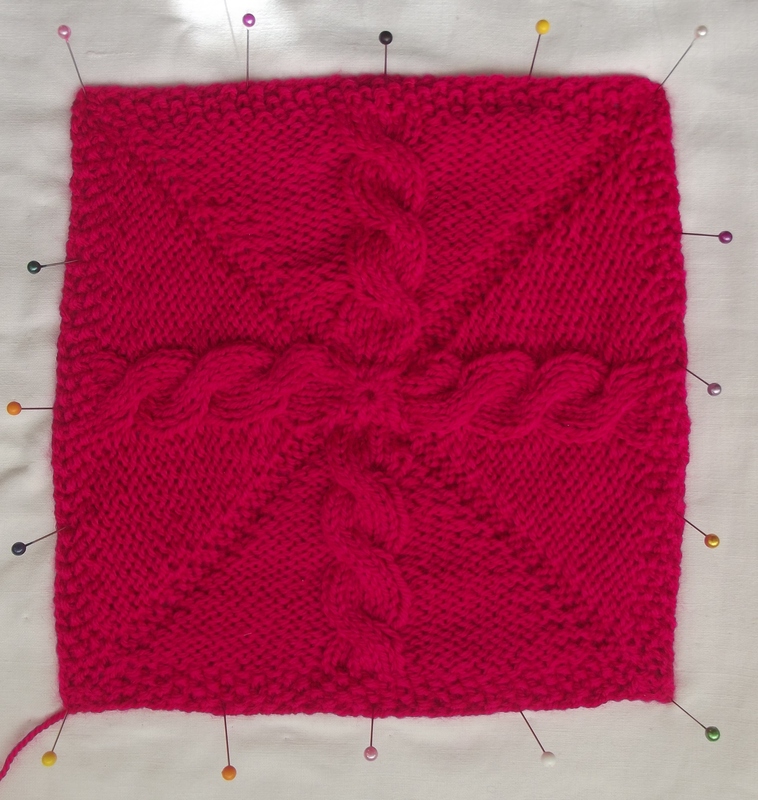 I have been involved in knitting squares for various blankets recently, usually a group effort to give a warm hug to someone who is unwell or having a tough time. It gave me an excuse to try out some different stitch patterns. No matter what the samples look like in photos from stitch dictionaries they take on a new look when you actually knit them up. Wow! That looks amazing! Well done. I’ve knitted many a blanket, trying out different patterns but never thought of any like that; it looks so great. I can’t wait to have a go at one like it! Thanks, I’d love to see how yours turns out! I can see all sorts of possibilities in using cables in this way, just need to find the time to experiment further.